Time to Have Your Water Tested? We perform comprehensive well testing for a wide range of microbial, organic and inorganic compounds that can have an effect on the health of your water. We have testing packages available that include well water testing for homeowners, real estate transactions, plumbing toxicity analysis, and irrigation water analysis. Public water systems that serve at least 25 people are regulated by the EPA, which identifies and sets limits for water-borne contaminates in drinking water. We keep track of changing requirements and provide water testing services to ensure regulatory compliance. Handling wastewater properly is essential for protecting drinking water, wildlife, and the environment. We provide testing for domestic wastewater, stormwater, and industrial wastewater. Our services include analysis of influent and effluent, priority pollutants, organic chemicals, metals, storm water testing and wash water testing services. Welcome to Neilson Research Corporation. Our analytical testing laboratory provides testing services for the general public, industrial, and governmental agencies. Neilson Research Corporation is a full service environmental laboratory specializing in drinking water, wastewater, hazardous wastes and asbestos analysis. We are accredited by the Oregon Environmental Laboratory Accreditation Program (ORELAP) for drinking water methods under the Safe Drinking Water Act (SDWA), non-potable water methods under the Clean Water Act (CWA), and solids and chemical waste under the Resource Conservation and Recovery Act (RCRA). 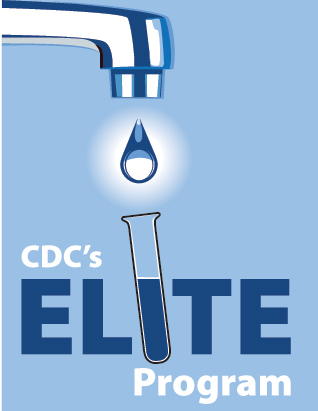 Neilson Research Corporation is also a CDC Elite Laboratory for the analysis of Legionella. We have labs in Medford, OR, and Grants Pass, OR, to provide reliable service for well testing, public water systems, environmental, and wastewater testing using highly technical and precisely calibrated equipment. Please browse our website to read more about our laboratory services in the Medford, OR, and Grants Pass, OR areas; and contact Neilson Research Corporation at 541-770-5678 to discuss your specific testing requirements. Now certified by the CDC Environmental Legionella Isolation Techniques Evaluation (ELITE) Program.